The Hawaii Department of Health has updated their investigation into the hepatitis A outbreak in that state. As of September 7, 2016, 252 people have been sickened. That is an increase of 11 new cases since last Wednesday. All of the cases have been in adults. Sixty-six people have required hospitalization because their illnesses are so severe. Illness onset dates have ranged between 6/12/16 to 8/30/16. On August 15, 2016, the government identified raw scallops, imported from the Philippines, that were served at Genki Sushi restaurants on Oahu and Kauai as a likely source of the outbreak. 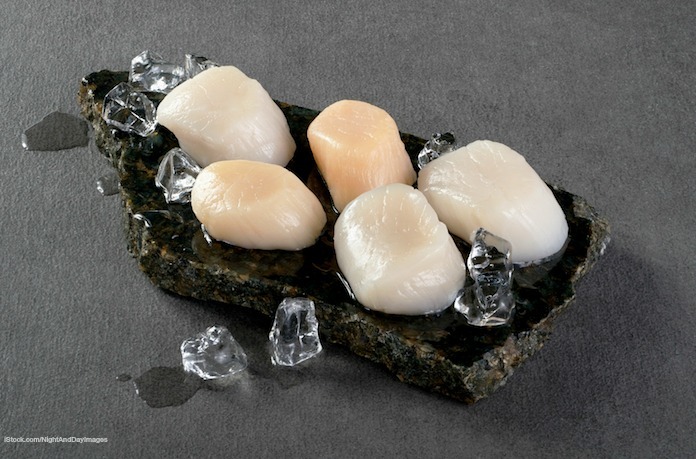 The product, Sea Port Bay Scallops (Wild Harvest, Raw Frozen) was distributed by Koha Oriental Foods. Because the incubation period of this particular virus can be so long, and because the virus is so contagious, there will most likely be more illnesses reported. Another factor in the spread of the virus is that people are contagious for weeks before they even know they are sick. Symptoms do not begin until 15 to 50 days after the initial exposure. The virus is transmitted person to person and through contaminated food and drink. Genki Sushi restaurants stopped serving the raw scallops on August 15, 2016, when the health department ordered their closure. That means that anyone who ate that product on that day could start showing symptoms as late as October 4, 2016. And that person could have infected other people before their symptoms appeared, so it will be some time before new cases are no longer being diagnosed. The employees of eight different restaurants, along with two Hawaiian Airlines flight attendants, have been diagnosed with hepatitis A as well. Those restaurants and the airline were not the source of the outbreak and no infections have been linked to exposures at these businesses. Those places are mentioned because anyone who ate there on the dates that employee worked could have potentially been exposed to the virus. You can see the list of restaurants in question, along with the dates the employees worked, at the Hawaii Health Department web site. The symptoms of hepatitis A include fatigue, fever, weight loss, loss of appetite, nausea, vomiting, diarrhea, clay-colored stools, dark urine, and jaundice. There is no specific medical treatment for this illness, but some people, especially the elderly, those with health issues, and people with liver disease, can become seriously ill. The recovery for most people can last for months. If you ate raw scallops at Genki Sushi restaurants in Hawaii before August 15, 2016, you should monitor yourself for the symptoms of hepatitis A. It’s too late to get a vaccination against the virus, which must be done within two weeks of exposure. If you do get sick, see your doctor. This is a reportable illness, so your doctor will tell the health department that you are sick. The best way to prevent the spread of this virus is to stay home if you are sick with hepatitis A. Stay home if you have a diarrheal illness, especially if you work in a healthcare setting, a daycare setting, in a school, or in the food service industry. Wash your hands well with soap and water before preparing food for others. And since the bacteria is transmitted through feces, always wash your hands well after using the bathroom, taking care of someone who is sick, or after changing diapers.